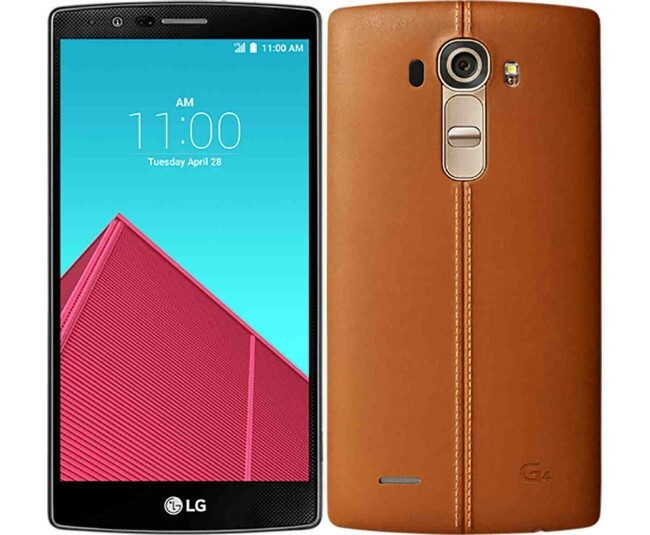 Specifications for LG Electronics’ new flagship smartphone G4 were leaked “by accident” on Sunday via the phone’s staging site that was still under construction. The page did not look to be fully updated yet, with details listed for some key features such as camera technology and operating system being clearly incorrect. But reactions are already overflowing about its new leather-backed styling. According to the leaked images, the G series’ signature rear home buttons make a reappearance, while the backs are available both in plastic and leather in a variety of colors. The back cover also seems to be removable with a battery and a memory card slot underneath cover ― a feature that would appeal to many Android fans who were disappointed when Samsung ditched the removable battery for the new Galaxy S6. “The leather-backed G4 seemed to be an impressive product,” said Lee Seung-woo, an analyst from IBK Investment & Securities. “But the market conditions will not be favorable,” he added, citing the robust sales of the Galaxy S6 and Edge. He predicted that the G4 sales could fall behind its hot-selling predecessor G3. LG has shipped some 10 million units of the G3 since its release in May. “The site showed that the G4 would sport Qualcomm’s (slower) Snapdragon 808 chip instead of the latest Snapdragon 810, which I think might lose a selling point for LG,” another industry source said on condition of anonymity. Meanwhile, speculation was raised that LG could have leaked the specifications of the G4 as part of a marketing scheme before its official global launch planned for April 29. But an LG official denied the rumor, saying the accident happened due to a mistake by the site’s developer. “We are still investigating if the leaks took place by accident or intentionally,” he said, declining to be named.